2013 was the year of Bioderma, a rather simple, fundamental product to follow on from its predecessor from the same side of the pond - Caudalie's Beauty Elixir. Pretty soon after, dupes popped up on my Youtube and Bloglovin' feed left right and centre but I wasn't interested in anything that L'Oreal, La Roche Posey or Vichy were bringing onto the market. It wasn't until I was in Superdrug a few weeks ago when I spotted Garnier's offering. 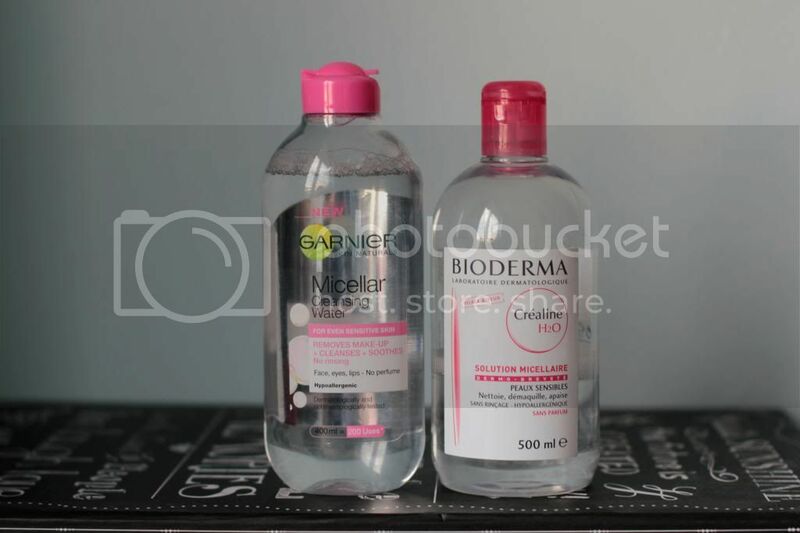 You can see in an instant what caught my attention, the Garnier bottle is definitely 'inspired' by Bioderma's recognisable clear bottle and pink cap combo. The product comes in a 400ml bottle (my Bioderma is 500ml) and at a purse friendly £4.99, which is about a third of the price of Bioderma. I find that it works just as well as my Bioderma for my everyday simple face of makeup - it removes all traces of makeup and does not cause redness nor irritation. It is scent free just like Bioderma and is hypoallergenic and can be used all over the face, including your eyes. My only con, is that it only has a life of 6 months compared to Bioderma's 12. However for most of us, this shouldn't be a problem I'm sure! I tend to reach for my Garnier over my Bioderma now, which is definitely a good indication of my feelings on the product as well as being good for my pursestrings from now on! 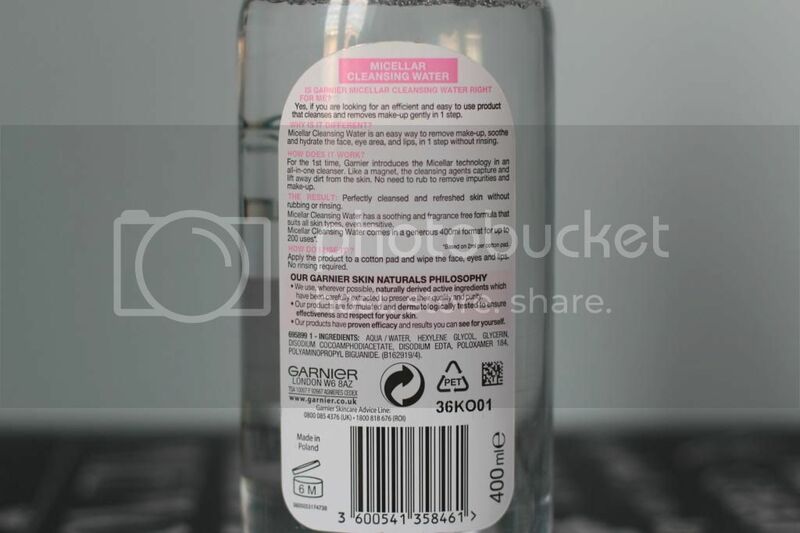 Garnier Micellar Cleansing Water can be found online at FeelUnique or Boots and in stores such as Superdrug.